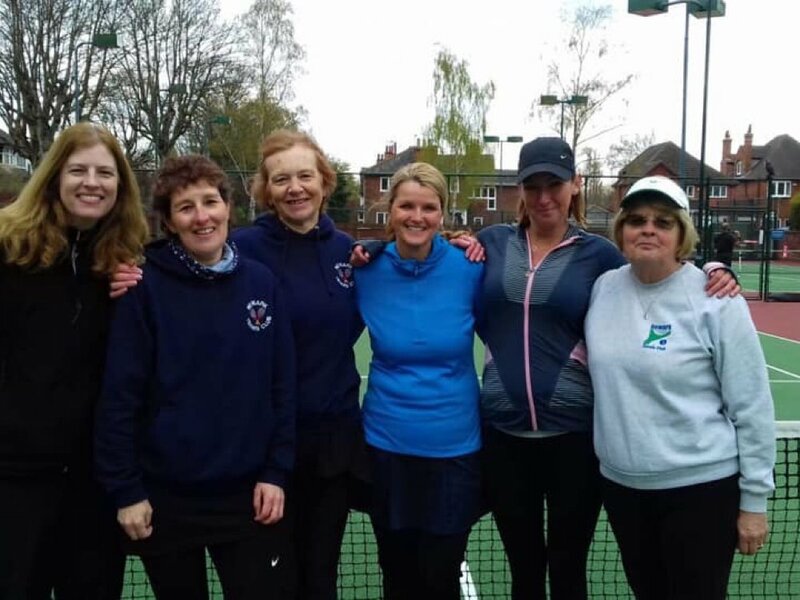 NEWARK FLOWSERVE won their sixth successive match to march on amongst the pacesetters in the East Midlands Counties League, but their steady progress is also making waves at national level. The 3-1 victory at home to Kimberley Miners’ Welfare was also their ninth win out of nine at fortress Lowfields, and The Highwaymen are now the fourth highest goalscorers in the country at step six level. The attendance of 143 at Hawton Lane was also the third highest recorded on the day at national step six, behind only Chadderton (Oldham) 145 and Selby (Humberside) 154, and encouraging cries of“Flowserve!”once again rang out around the crowd as the Lowfields Army grew in number. Three weeks previously the 2-0 win at Kimberley arrested a slide of one point from two away games and set Flowserve on their way to six straight successes, and again it was a first half blitz that set them on their way. 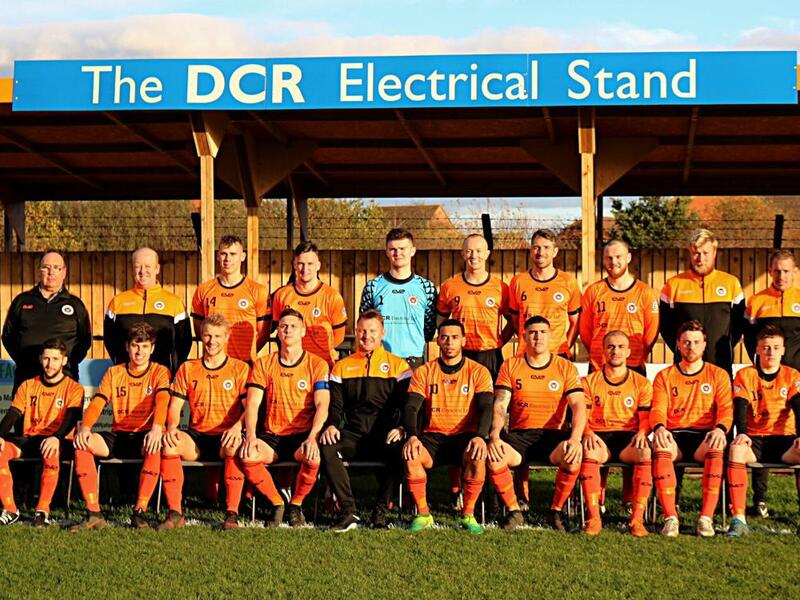 The Highwaymen made one change from the midweek triumph against Eastwood, with Rhys Lewis replacing Jammy Lloyd - who was called away on wedding commitments – but there was no change from the attitude of the men in orange as they once again tore into their opponents from the off. Joint-manager Steve Kirkham fired the first real shot in anger on nine minutes when he latched onto a clearance and lashed in a powerful shot from fully 40 yards which the visiting keeper was happy to push over the bar. Four minutes later Flowserve were in front when last season’s top scorer Elliot King made it ten in this injury-hit campaign as Danny Meadows’ free-kick from the right was headed on by Sam Agar and King’s forehead did the rest. Ten minutes later Lewis capped a commanding display on his return when he made it two. Sol Miller launched a throw-in from the right that was contested by King and Lewis and the latter was the first to react to the loose ball as he swept it across the line. The game was put out of doubt a minute later when Meadows hit a shot from inside the right-hand area of the box that appeared to take a deflection on its way into the net. It was the fifth successive game in which Flowserve had led by three goals or more at the interval, and only against Borrowash have they gone on to capitalise on that in the second period. But, in fairness, that has been because of a change in formation from the opposition that has been made in search of damage limitation, whereas Borrowash didn’t possess those capabilities. Captain Tom Potts was outstanding in the heart of the home defence, but even he had no chance when the weather intervened two minutes before the hour mark. Sam Bates, a half-time substitute for The Miners, hit a cross from the left which caught the swirling wind and dropped over the head of Flowserve keeper Joe Searson into the far corner. Meadows was denied twice in quick succession when his diving header from Miller’s cross brought a fine diving save from the Kimberley keeper at the foot of his near post and then the opposite post was struck shortly afterwards by a Meadows effort as the floodlights pierced the gathering gloom. In the end, the only gloom belonged to the visiting team as they shook hands with a side that was otherwise was out of their reach. 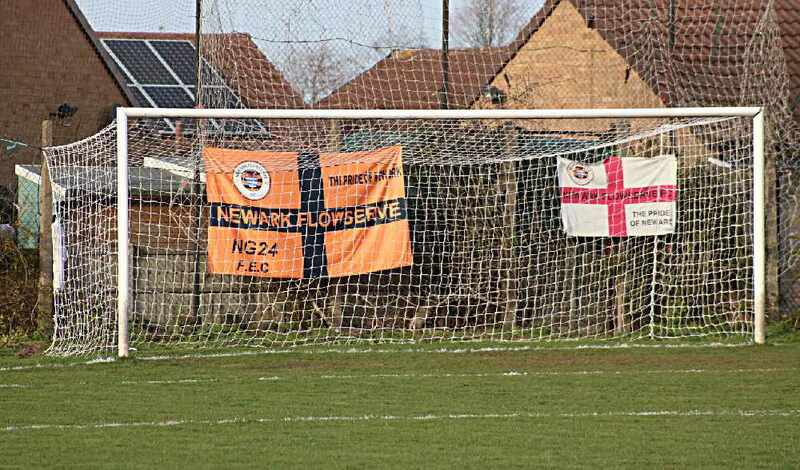 Newark Flowserve: 1 Joe Searson; 2 Sol Miller; 3 Will Rawdon; 4 Tom Potts (captain); 5 Steve Kirkham; 6 Rhys Lewis; 7 Jack Beckett; 8 Danny Meadows; 9 Sam Agar; 10 Tyrell Shannon-Lewis (Callum Smith 91mins); 11 Elliot King.